Confused about the elections? Not sure whether you are registered or not? 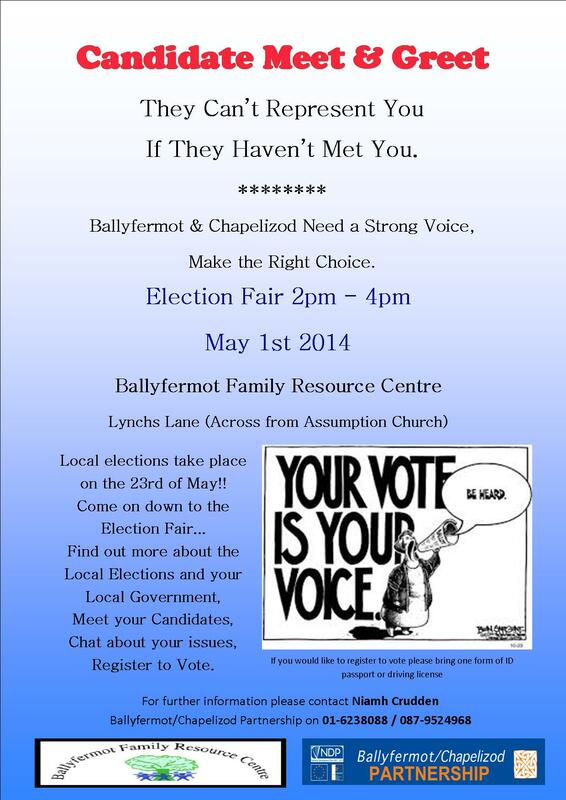 Come along to the election fair in Ballyfermot Family Resource Centre on May 1st and get some of your questions answered and meet the candidates.